A man who was three times over the legal limit when he struck a pedestrian with a Bird electric scooter has a new claim to fame. According to the Los Angeles City Attorney’s office, 28-year-old Nicholas Kauffroath is the first person in the city to face charges for riding an electric scooter while under the influence. He pleaded no contest to the charges this week and faces 36 months of probation and a $550 fine. 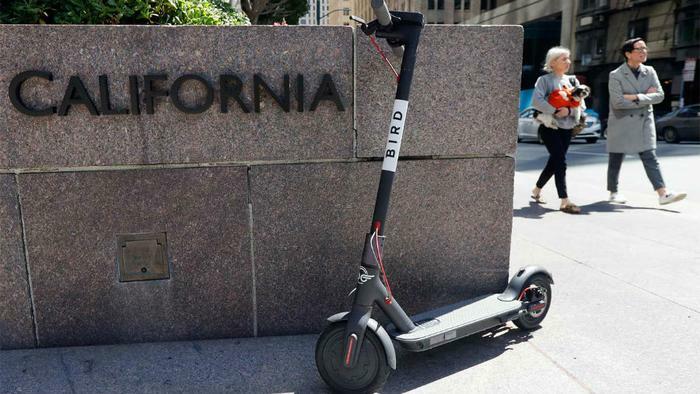 Bird is one of several companies that is cashing in on the dockless electric scooter craze. The industry has introduced itself in major American cities this year and is similar to the dockless bikeshare industry, except that electric scooters can go much faster. Experts warn that consumers who don’t take the same precautions that they would in a vehicle will pay the price. At least two deaths and more injuries are linked to the scooters. "Drinking while operating a vehicle, a bike-or a scooter-is not only illegal, but can lead to serious injury or worse," the Los Angeles City Attorney's office said in a press release. Kauffroath reportedly left the scene after knocking the pedestrian over, but authorities later caught up to him. The person he hit suffered knee injuries.